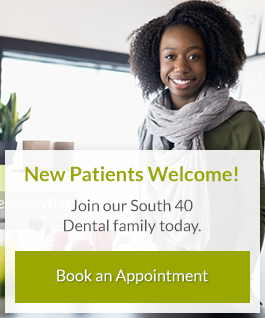 At South 40 Dental, we know that visiting the dentist can cause anxiety for some patients. In Grande Prairie, we offer a comprehensive range of sedation options to make the process less overwhelming. At South 40 Dental, we offer both Oral Sedation and IV Sedation, as well as nitrous oxide (laughing gas) performed by our general dentists to help treat patients with dental anxieties. What is oral and IV sedation? You will be given oral medication or an injection prior to your dentist visit. You will need someone to drive you to and from your appointment. Once you arrive, you are allowed to rest comfortably in a warm, quiet room under a blanket. During the entire time you are here, we will closely monitor you to ensure your safety. If you have anxiety or fear about going to the dentist you may be a candidate for sedation. If you have a fear of pain, have had a traumatic dental experience in the past, or the sounds and smells of a dental office make you nauseous, sedation can help you get over your anxiety. Are there any long-term effects of sedation? No. You will feel a little groggy after some forms of sedation, but after a few hours, you will feel like yourself again. You will need to have someone drive you home from your appointment in these cases. In most cases, it only takes two appointments. The first appointment will be a consultation to check your health history and make sure you are a candidate for sedation. The next appointment will be to perform the necessary procedures. This can usually be done in one appointment but may require a follow-up visit. In most cases, it will not be covered by your insurance provider. We will review your insurance coverage and let you know if it is covered or not. If it is not covered, we will let you know the cost and, if necessary, we can put together a financing plan for you. Nitrous Oxide, known to many as laughing gas, is the most commonly used form of sedation in dentistry. It is administered by having the patient inhale the gas, which is carefully monitored by your doctor. We want you to feel relaxed when your dental procedure is performed. In most cases, all dental work can be completed in one visit while you are sedated. Once the procedure is over, the nitrous oxide will wear off quickly, and you will most likely be able to drive yourself home and return to your daily activities. If you have any questions about our sedation options, contact our office to book a consultation and find out if it's right for you.